4. Come prepared for character dining experiences. If you have booked a character dining experience, you’ll want to arrive at the restaurant prepared for the magic. 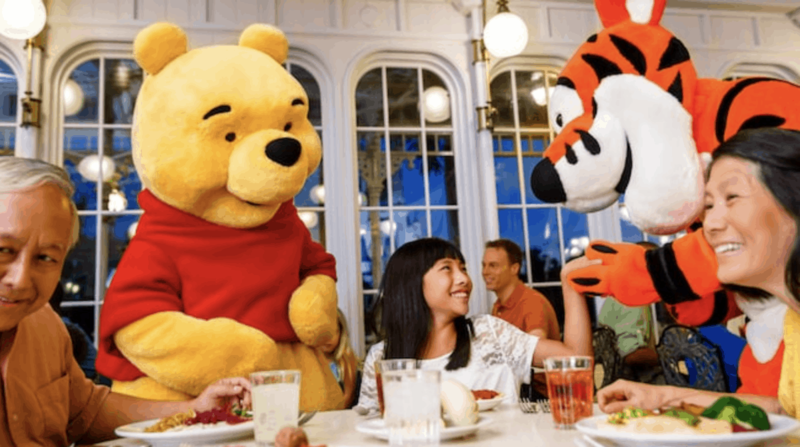 If you’ll be meeting characters during your meal, it’s important to have your camera or amply-charged smartphone with you to capture that magic forever. PhotoPass photographers are not usually a part of dining experiences (with some exceptions) so the pictures you take will be the mementos you have for years to come. If you collect autographs, be sure to also bring your autograph book and a Sharpie or other thick-barreled marker or pen to make it easier for the characters to sign their autographs.